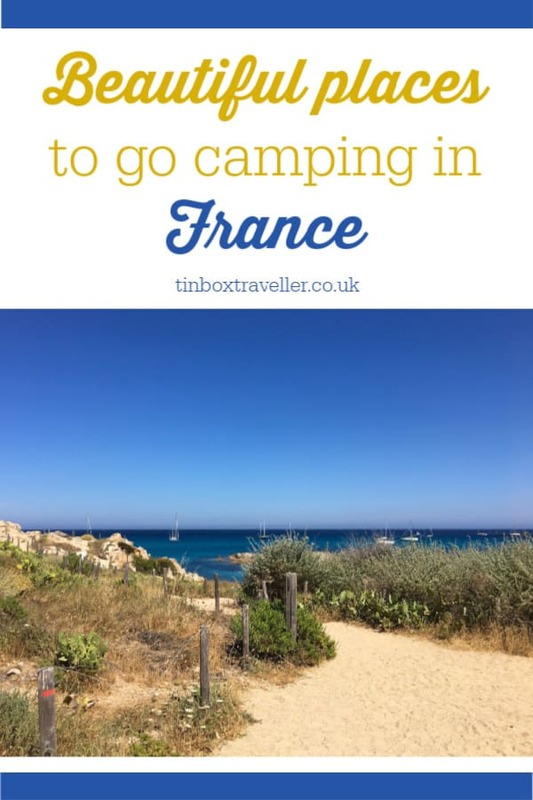 If you are looking for camping holidays in France that are set in beautiful locations, close to idyllic towns with plenty of activities to entertain the kids, then I’ve found some campsites you’re going to love. Not only are these very special family-friendly campsites in France, there are often special offers for stays available through Campsited*. If you enjoy water sports and mountain scenery then you will love camping beside the azure waters of Lake Annecy on the edge of the Alps. Camping Les Rives du Lac* has its own private beach and access to the lake where you can swim, hire a bike or go fishing. There’s great on-site facilities for families with clubs for both children and teens, a cinema, horse riding, three swimming pools and sports. If winter sports are more you thing then this is a great French campsite for you too. You only have to travel 25km to find the slopes in the Spring. Camping Les Rives du Lac allows you to bring your own tent, caravan or motorhome, or you can rent one of its glamping tents or mobile homes set in amongst groves of trees. Some even have lake views. 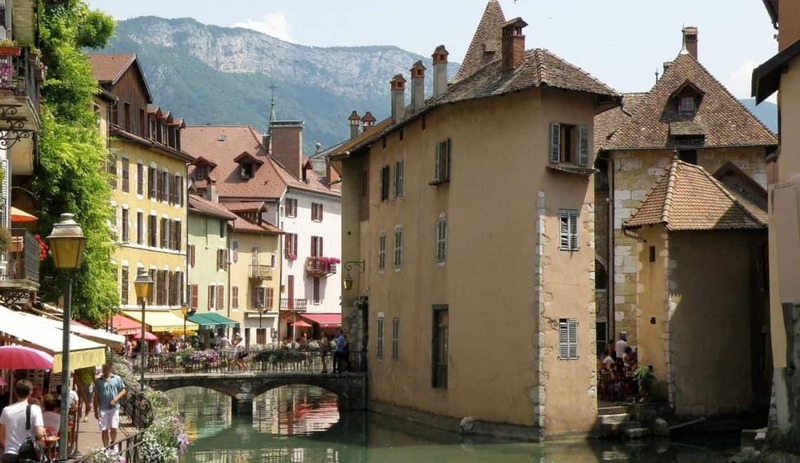 Close by there’s the picturesque city of Annecy which is criss-crossed by canals, giving it the nickname ‘Venice of the Alps’. It’s a truly idyllic French camping site where you can indulge in your love of sports and the great outdoors, or explore pretty alpine towns at a more relaxed pace. If the idea of camping the mountains in winter takes your fancy then check out Camping-Caravaneige l’Isle de Prelles*. 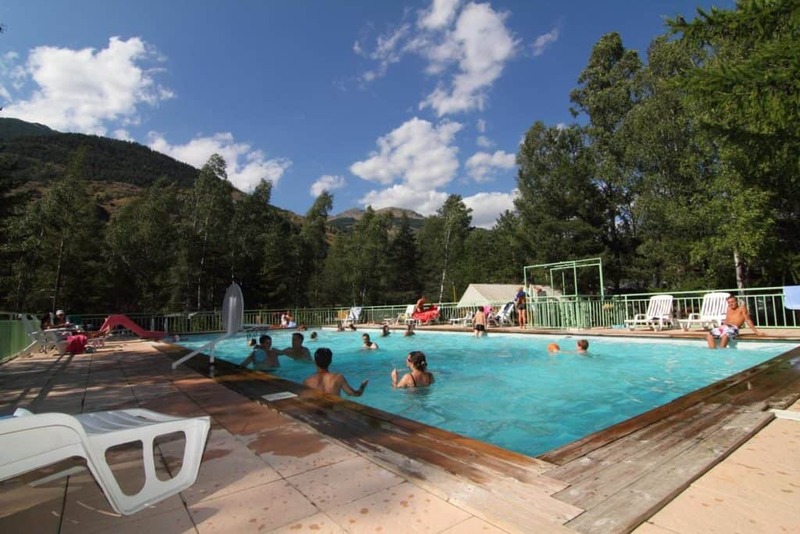 It’s situated between Ecrins National Park and the Queyras Régional Park, and is open from February to September, making it ideal for winter and summer camping holidays in France. Onsite there’s a heated outdoor pool, spa and bike hire. Locally, there’s plenty of hiking trails or, just five minutes from the campsite, you can take the Prorel cable car up into the mountains about Briançon and the Guisane Valley. Accommodation options include pitching your own caravan, motorhome or tent, or booking a log cabin or mobile home. Indulge in French Rivera life at Camping de l’Argentiere* which is perfectly positioned in the countryside bordering the Gulf of Saint-Tropez. Onsite there’s the largest campsite water park in the area with a splash park, three waterslides, jacuzzi and four swimming pools. And if you can drag the kids away from that and the plentiful activities for children and teens, the famous Pampelonne beach is just 15km away for a spot of celebrity spotting. In July and August you’ll find themed entertainment evenings and sports tournaments. You can either stay in your own tent, motorhome or caravan or take advantage of the mobile home accommodation on site. And you needn’t worry about baking in the Saint-Tropez sun as 85 percent of pitches have their own shade. What could be more picturesque than holidaying in view of a historic French château? The town of Hauterives is just a short walk away and offers shops and a Tuesday market with plenty of regional produce. Here you can also see the amazing Le Palais Idéal – the imaginative work of a French postman. High season entertainment at Flower Camping Le Château* happens within the château buildings and courtyard, including themed evenings and a kids club. If you want to explore the area, hiking and cycle trails run past the campsite. If you’re a fan of glamping there are some really fun accommodation options here including tents on stilts, safari tents, an American Airstream, a tear drop caravan and more conventional mobile homes. Of course you can also bring your own camping accommodation. This shady campsite in the Landes region is just two minutes from Lake Mimizan and 10 minutes from the Atlantic Coast with long golden, sandy beaches perfect for surfing and building sandcastles. Onsite, there’s a heated, covered pool allowing swimming whatever the weather and outdoor water slides for the kids. Families have the choice of heritage days out in the area, like exploring the castles of Ravignan and Gaujacq, or visiting attractions like the discovery farm Ducazaux, the Paradise Butterfly farm, the Dinosaurs Park at Azur or the Labenne zoo. In July and August, there’s entertainment including petanque competitions, karaoke, discos and themed dinners. Camping Landes Bleues* has mobile homes accommodating between two and eight people for romanic breaks or larger family holidays. You can also bring your own tent, caravan or motorhome to this site. If any of these idyllic camping holidays in France takes your fancy don’t forget that Campsited often has special rates available on pitches and holiday rentals. Disclosure: this post has been sponsored by Campsited and contains affiliate links marked with *. If you click on one of the links in this post this will not affect the price you pay but I may earn some commission from bookings. Images courtesy of Campsited and Pixabay. 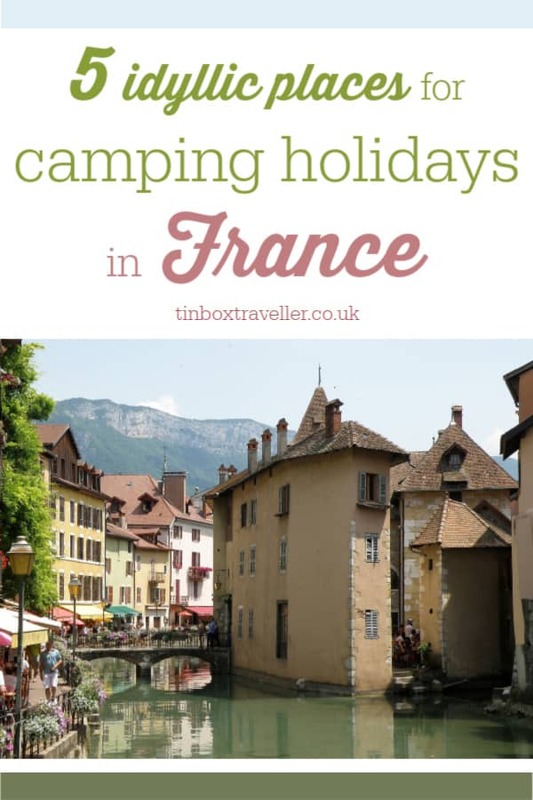 If you’re searching for places for camping holidays in France then why not pin this post for later? Camping next to a chateaux does sound awesome, doesn’t it?! I have to admit I’m not a fan of camping but these sites do look really tempting. I like the sound of Flower Camping! We’re yet to explore France with our girls but my eldest is really enjoying learning French at high school and wants to practice so I think we may need to head over there sooner rather than later. I’ll be honest, I’m not a great camper (even glamping can test me!) but I do love the look of these. I’m also a big fan of Lake Annecy – and the mountains in general – so I may be tempted to give camping a go! All these camp sites look amazing. Those pools are super clean and inviting. We’ve never camped outside the UK but these sites are making us reconsider that!